Everyone loves to be able to do things quickly, and jumping between applications with ease on your BlackBerry smartphone is something that is already pretty easy. 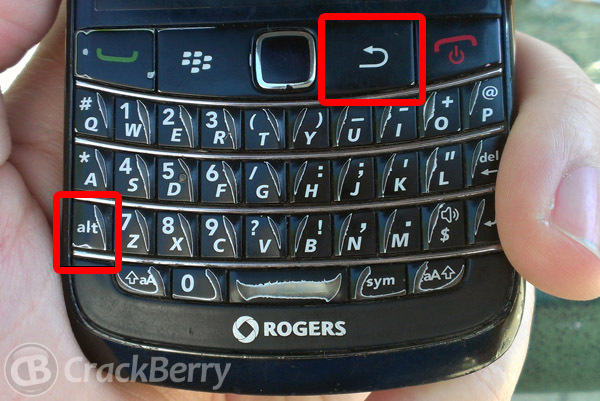 It is common knowledge that pressing and holding the menu key on your BlackBerry will bring up your open applications to easily switch between. To me, long pressing the menu key is less than an ideal solution, and recently I stumbled across a great alternative that works very well. Instead of having to long press the menu key, scroll around and then press the trackpad to launch, there is another way that works a bit faster. The process is quite simple -- press and hold the Alt key and then press the back key to engage the multitasking menu. From here you can press the back key to navigate between the applications that are open and to select an application all you have to do is ensure it is highlighted and then let go of the Alt key. While you do need both hands to do this combination, I do find it to be faster and easier to use and now I actually use the options as they were intended. No more jumping to the home screen to gain access to the applications I want, instead I jump into them right from the application that I am in currently.